GJ.23, 10c. 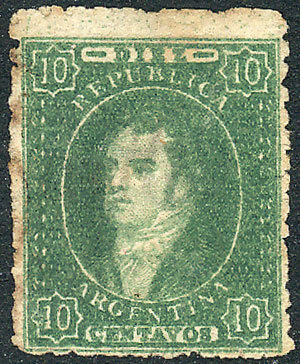 worn impression, green, very lightly cancelled (almost invisible). Catalog value US$25.